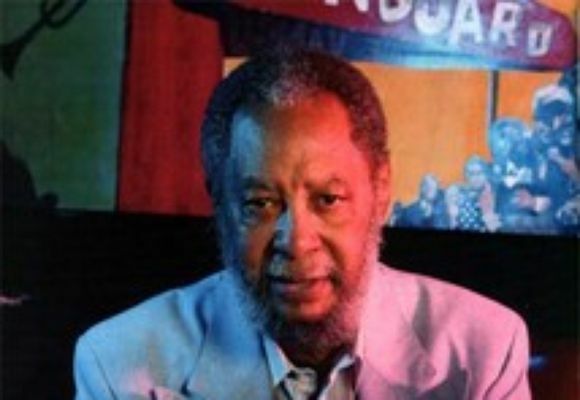 Ben Riley was born on July 17, 1933 in Savannah, Georgia. At the age of four his family moved to New York. While in junior high school, he began studying with noted Harlem band leader Cecil Scott and in high school began playing in the school band. In 1952, after high school, Ben joined the army where he more valuable experience performing with the army band. Following his discharge from the army in the late 1950's, he started to work in and around New York and developed several long- lasting relationships with Randy Weston, Mary Lou Williams, Sonny Rollins, Woody Herman, Stan Getz, Billy Taylor, Johnny Griffin and many, many others. But, the association that secured Ben's place in jazz history was his four year stint with the legendary Thelonious Monk. He toured extensively with Monk and recorded several now classic albums with the pianist. During his tenure with Monk, Riley also displayed his ability to play with a wide variety of musicians including Earl "Fatha" Hines, Andrew Hill, Hank Jones, Barry Harris and Clark Terry. After leaving Monk in the late 1960's, Ben chose to take time off from the road and took a position with the Wyandanch, New York school district where he remained for five years. Then, during the mid-1970's the call of music became to strong to resist and he began performing and recording once again. This time with Alice Coltrane and as a member of the New York Jazz Quartet. From the late 70's through the 80's he performed and recorded extensively with the Ron Carter Quartet which included bassist Buster Williams and pianist Kenny Barron, whom Ben recommended for the band. When Carter disbanded his quartet, the rhythm section of Riley, Williams and Barren remained intact, working as a trio and rhythm section for various touring artists visiting New York. It was Riley who suggested adding a permanent horn player to their trio and suggested Charlie Rouse and the cooperative band Sphere was born. With the death of Charlie Rouse, Sphere became inactive but Ben continued his now infamous performing and recording affiliation with Kenny Barren. He also continued to further develop other existing relationships with Abdullah Ibrahim, Barney Kessel, Chet Baker, Johnny Griffin and several others. In 1992, because of his vast contribution to jazz music, Riley was inducted into his Savannah, Georgia hometown based Coastal Jazz Hall of Fame. Along with Riley's long over due premier leader recording, he continues to perform and record with long-time friends Kenny Barron, Kenny Burrell, Phil Woods and so many others who have come to appreciate the many and varied talents of this master drummer.